With 17 years of expertise in corporate finance and securities law, Angela is sought out for her ability to efficiently manage complex, time-sensitive transactions and provide pragmatic advice to executives and boards on compliance, governance and risk management issues. 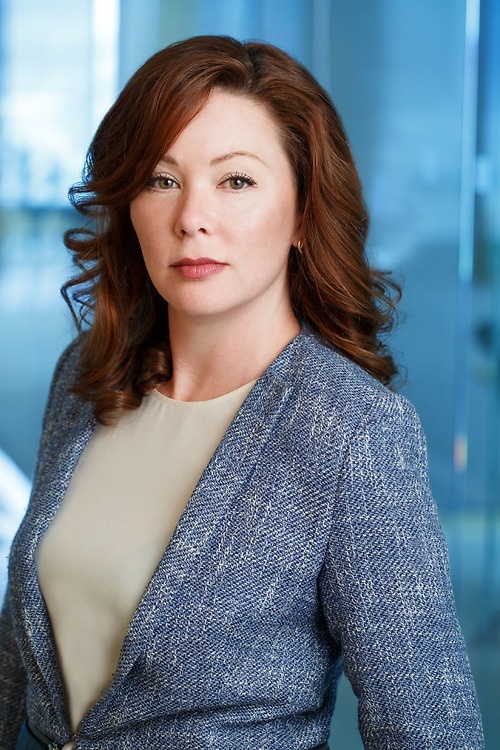 As an experienced securities lawyer, Angela advises domestic and international companies across industries in connection with strategic M&A, stock exchange listings, compliance, joint ventures, financings, corporate governance and corporate social responsibility. A member of our Private Equity Practice Group, Angela advises both fund sponsors and institutional investors in connection with private equity fund formations, secondaries, fund investments, buyouts and mezzanine financings. She also advises on formation, organization and ongoing operations of retail mutual funds, hedge funds, pooled funds and other investment funds across all asset classes. Angela routinely assists clients in obtaining investment fund manager, portfolio manager and exempt market dealer registration and advises registrants on a wide range of securities registration matters, including exemption applications, regulatory compliance examinations and compliance policies and procedures. Represented a consortium of 12 Canadian private sector pension plans in a $1.4 billion investment in a combination of Northleaf’s Private Credit Fund and concurrent secondary market purchase of a 16% interest in Antares Holdings a US middle market lender. Represented a consortium of Canadian private sector pension plans in a $175 million secondary market purchase of a portfolio of P3 infrastructure contracts. Represented an international mining company in connection with the take-private acquisition of a TSX listed gold producer. Represented an oil and gas exploration company in the formation of an investment fund and related financing by way of offering memorandum. Represented Bernie Rokstad and Aaron Rokstad in connection with Carillion plc's acquisition of a 60% interest in Rokstad Power Corporation. Represented Silver Predator Corp. in connection with its acquisition of Springer Mining Company, owner of the Springer Tungsten Mine and Mill in Nevada, from Americas Bullion Royalty Corp. Represented Golden Predator Mining Corp. in connection with its acquisition of Redtail Metals Corp. pursuant to a statutory plan of arrangement and its concurrent acquisition of a 100% interest in the Brewery Creek Project, a past producing heap leach gold mining operation located in the Yukon. Advising institutional and pension fund investors in connection with numerous private equity and alternative investments across various asset classes. Advising on formation, organization and ongoing operations of retail mutual funds, hedge funds, pooled funds and other investment funds. Advising dealers, advisers, and investment fund managers with respect to registration and on-going securities regulatory and compliance matters. Representing Silver Standard Resources Inc., in a range of corporate securities and corporate transactions including: equity and debt offerings; corporate reorganizations; acquisitions and divestitures. Representing Silver Standard Resources Inc., in its acquisition of Saskatoon-based Claude Resources Inc., which owns and operates the Seabee Gold Operation in northeastern Saskatchewan. Advising Silver Standard Resources Inc., with respect to five transactions totaling over $25 million. Advising a Canadian mining company in connection with the acquisition of a 100% interest in a tin and copper mine project and the associated mineral rights, giving it access to a very well-known past producing mine. Representing a pension and benefits corporation in the expansion of its platform into a new Canadian province.